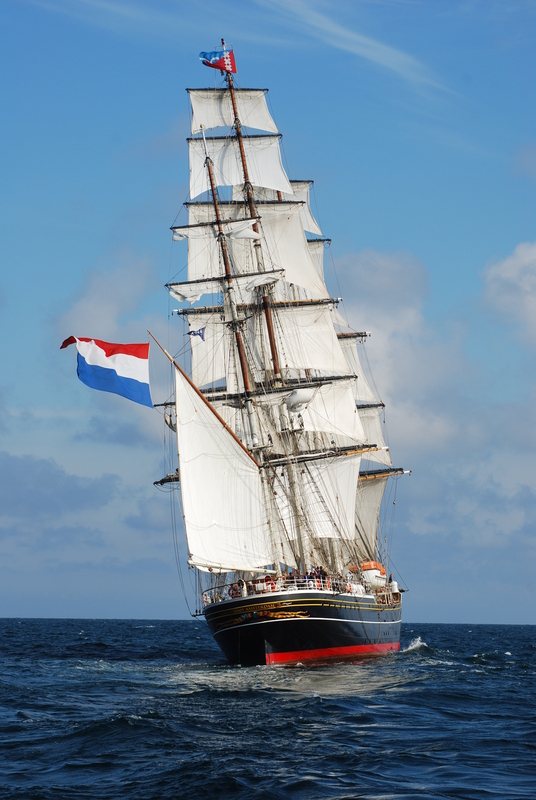 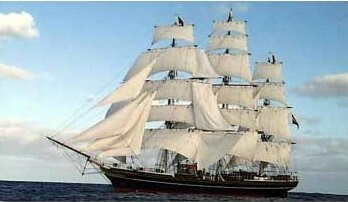 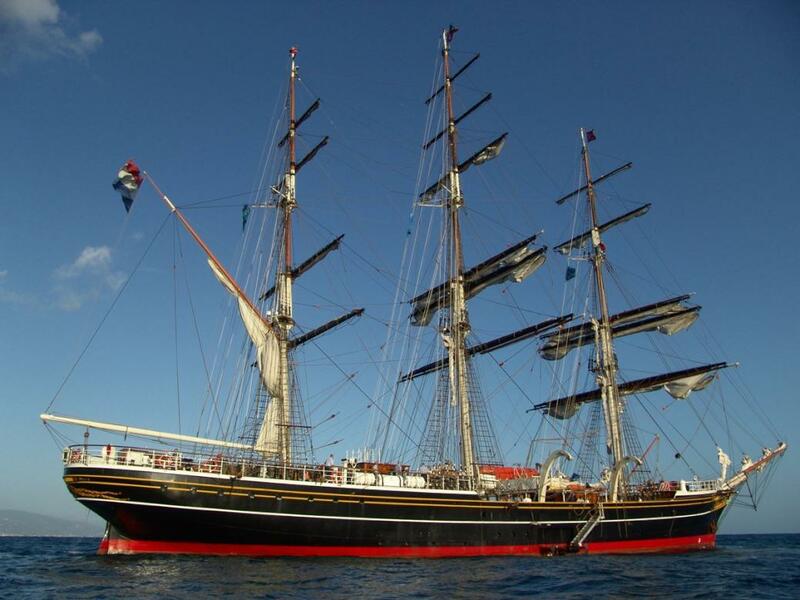 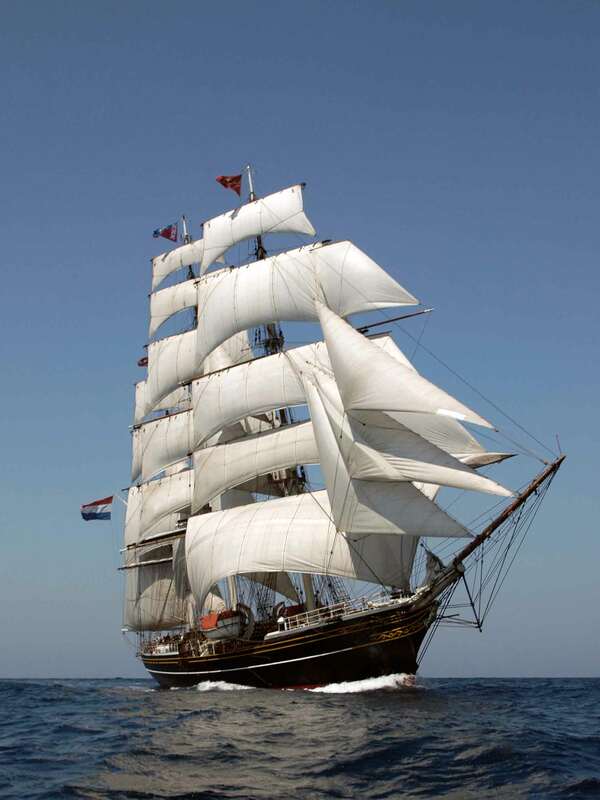 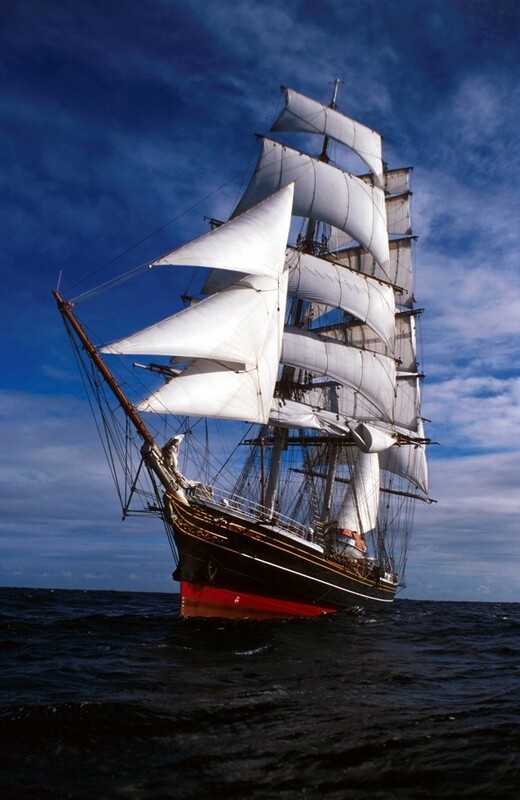 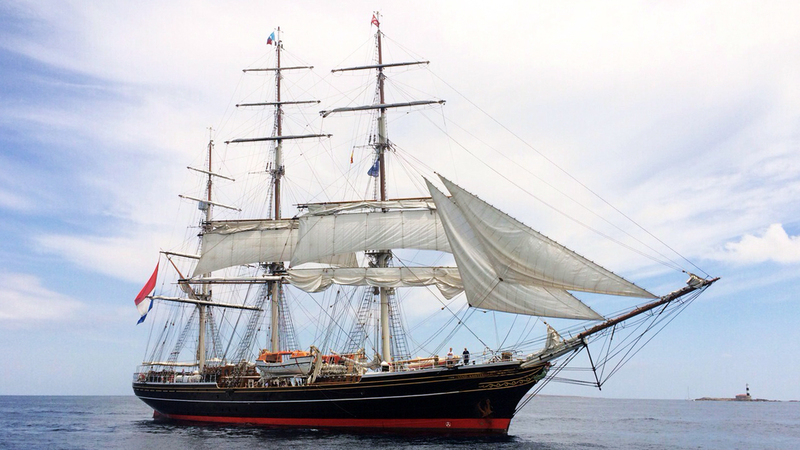 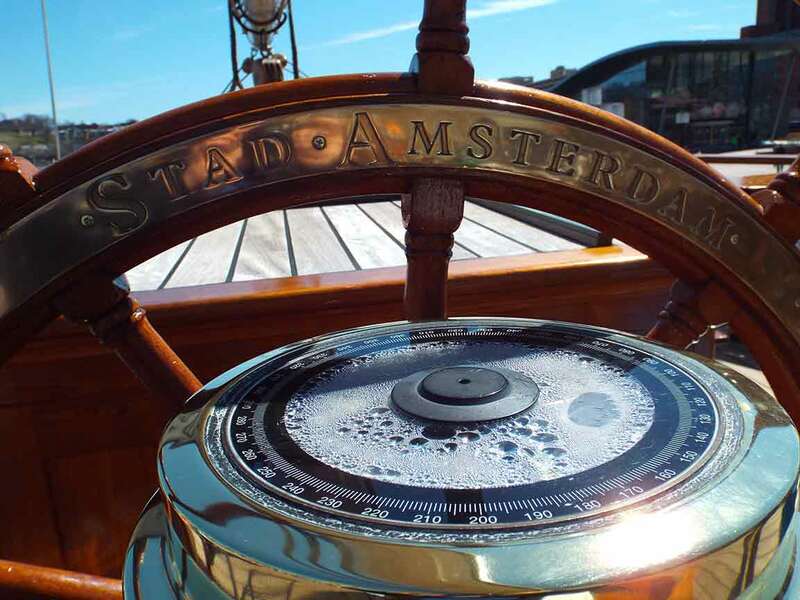 The 76m / 250 ft sailing yacht STAD AMSTERDAM is a unique large classic sailing clipper built in the modern era. 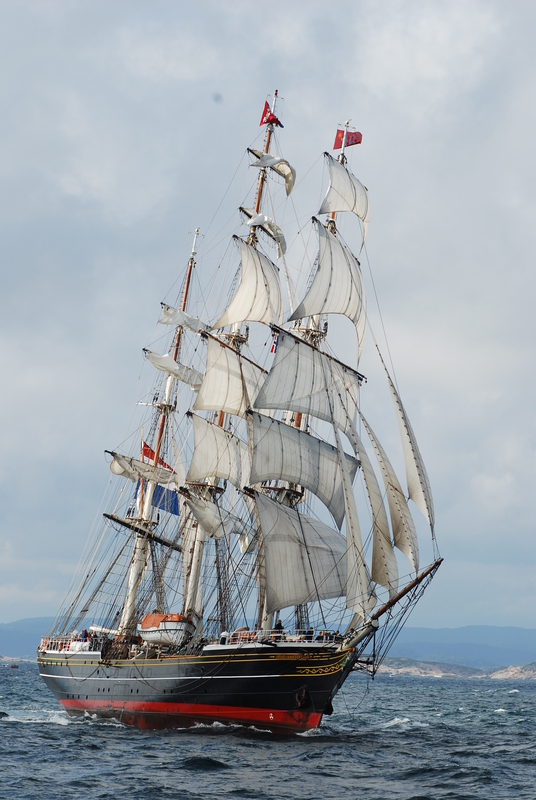 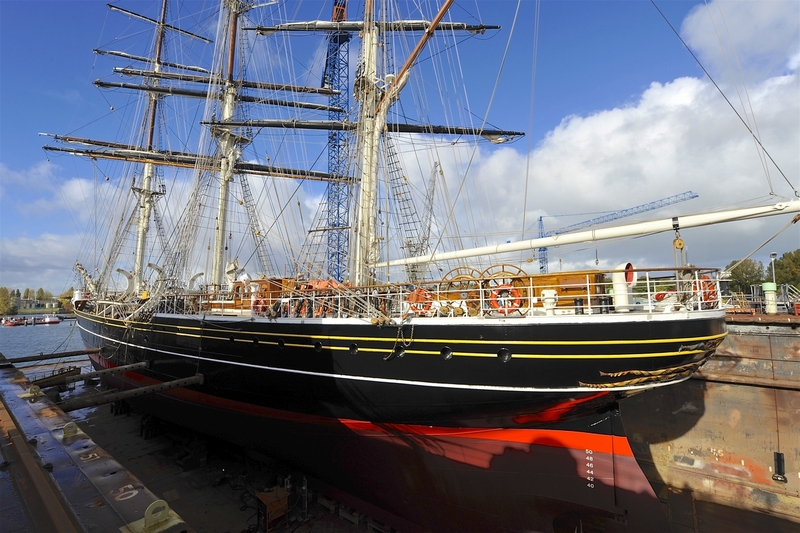 Launched in 2000 and refitted in 2009, she was the first clipper built in over 130 years. 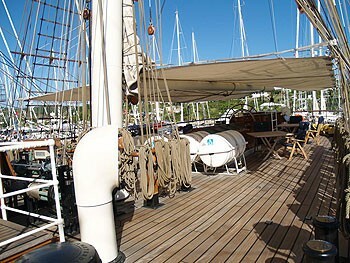 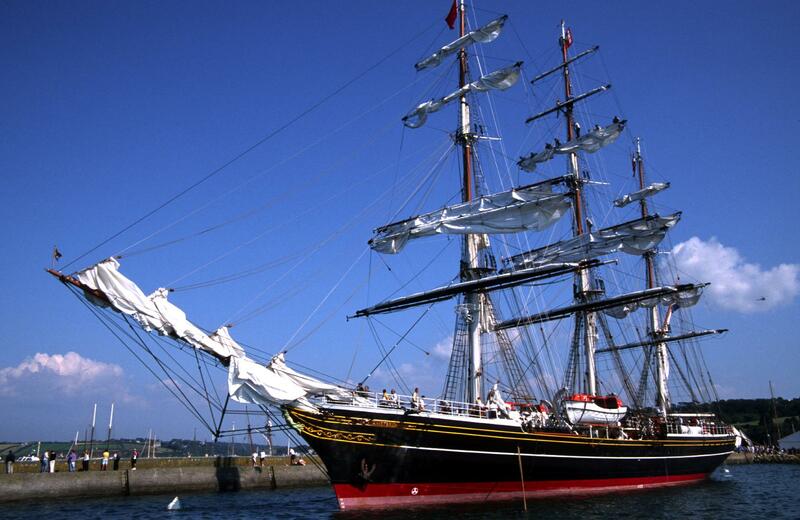 She has accommodation for a maximum of 28 guests in 14 staterooms and boasts a professional and attentive crew of 25. 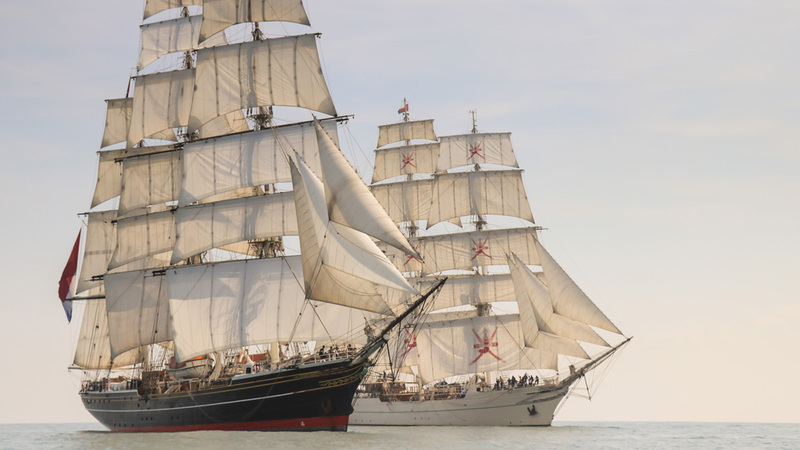 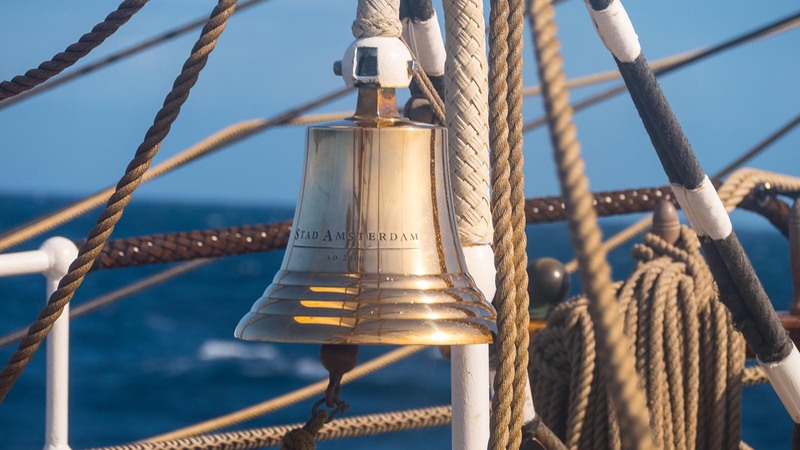 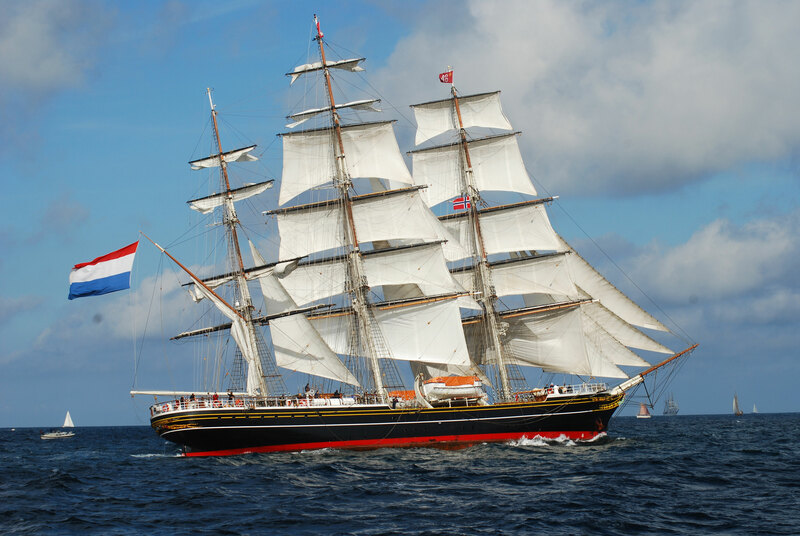 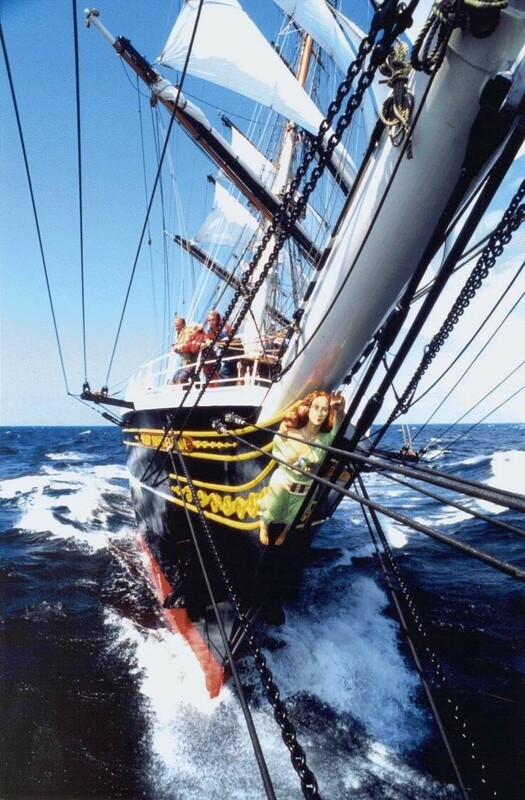 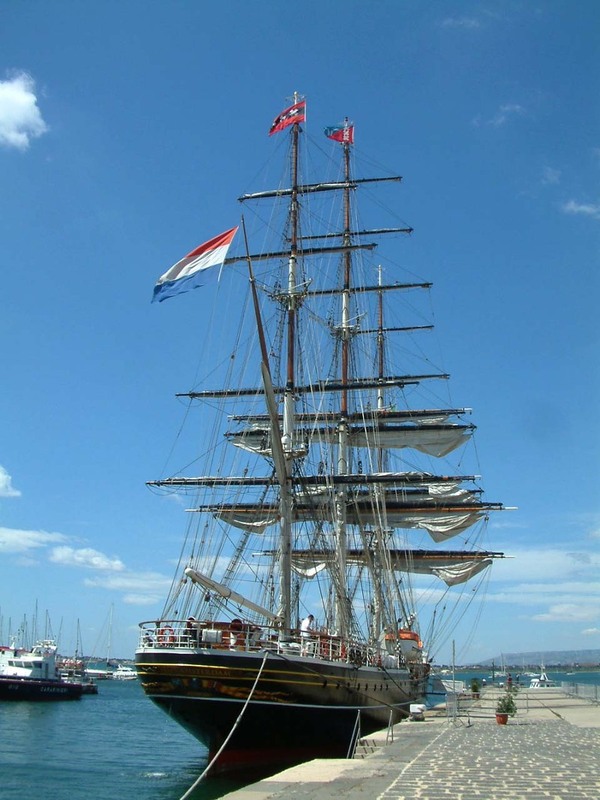 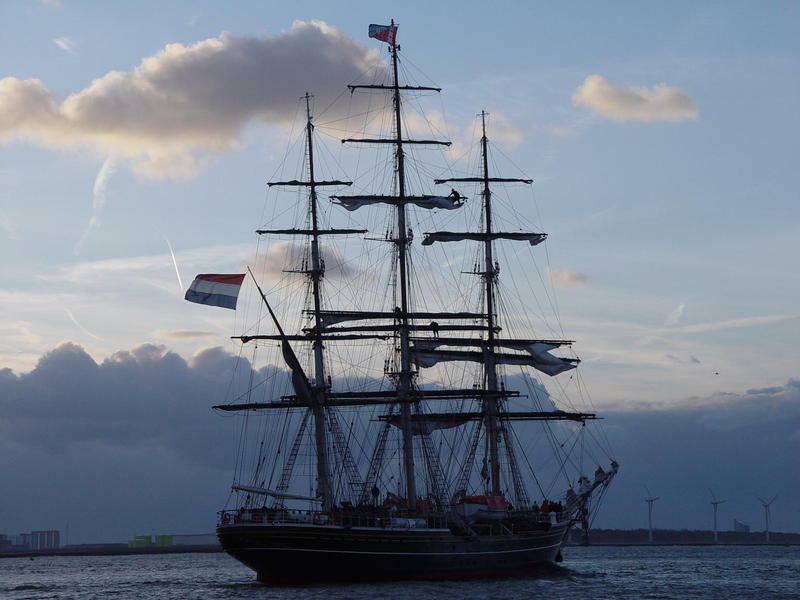 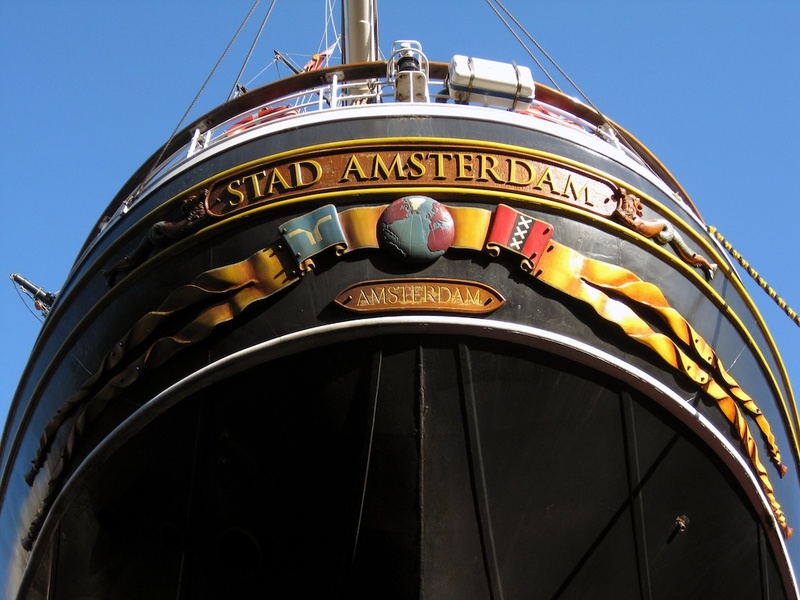 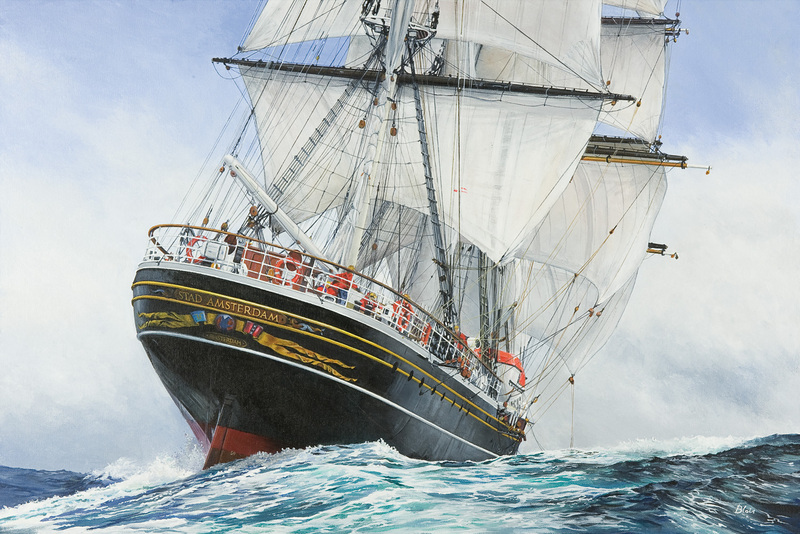 Stad Amsterdam was built at the end of the last century, between 1997 and 2000, and baptized in the new Millennium; this amazing clipper draws a crowd wherever she goes. 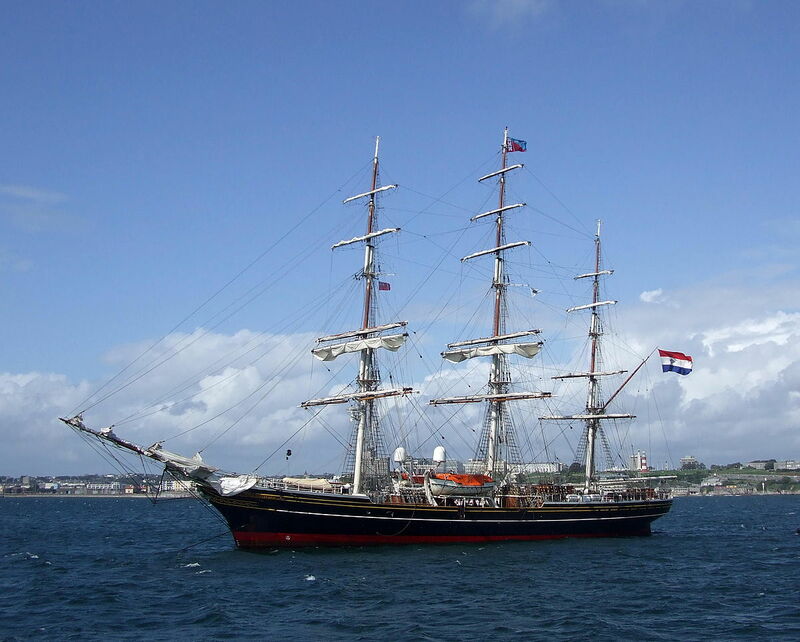 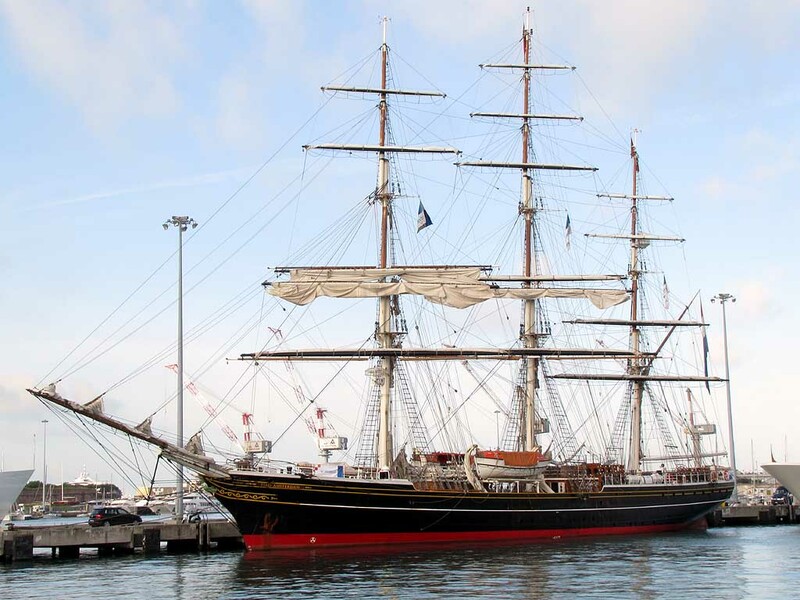 Built by Damen Oranjewerf, she is in superb condition. 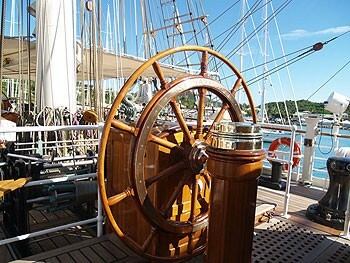 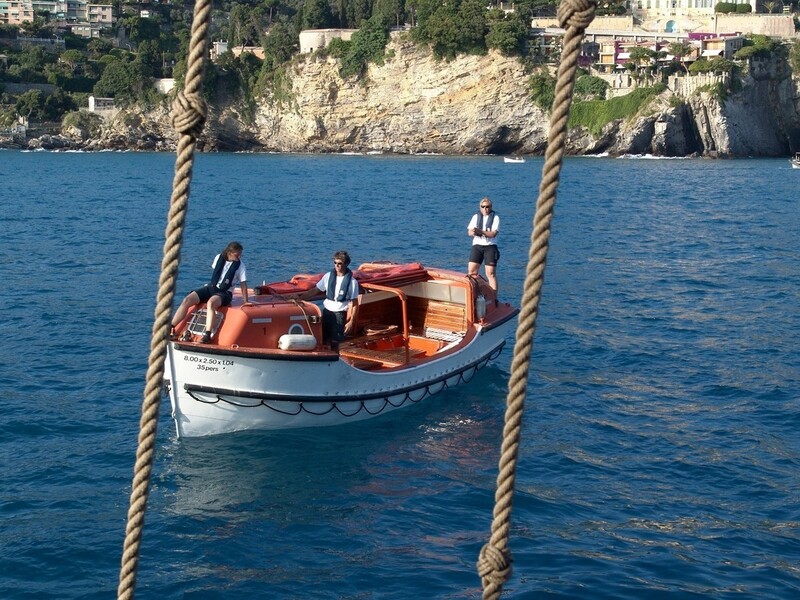 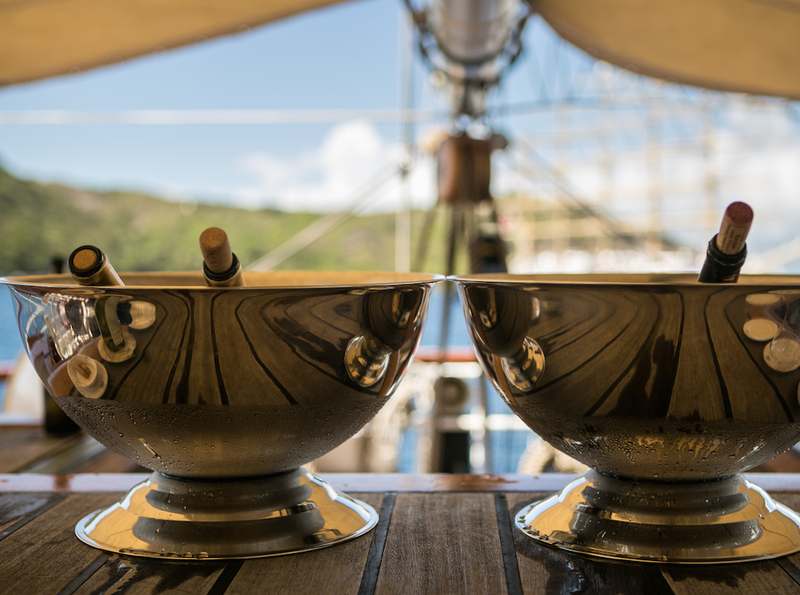 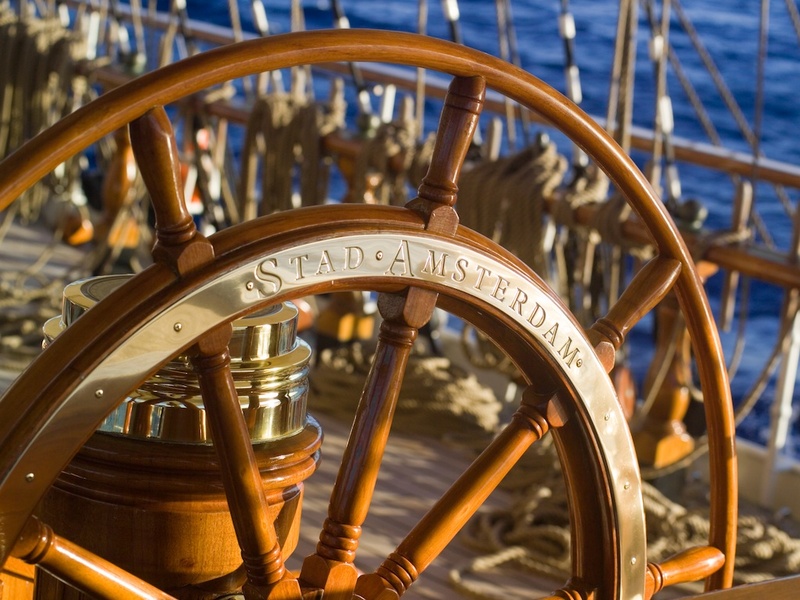 Sailing history has been intertwined with contemporary as well as modern technology and design. 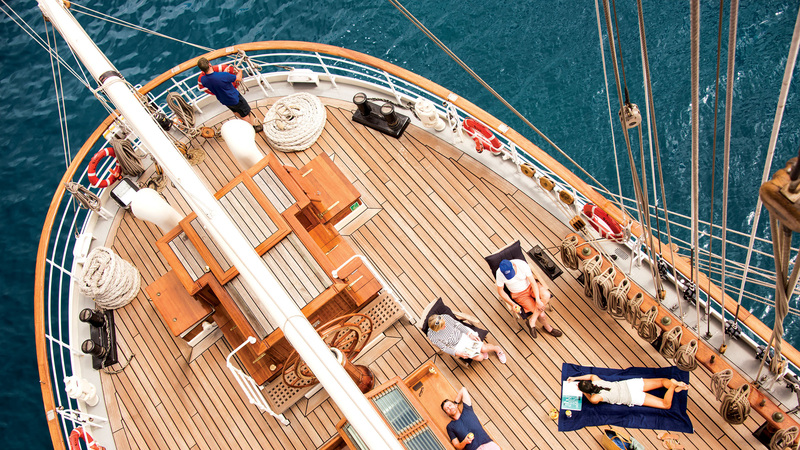 Speed, impressive sails, and the promise of adventure await you as you board. 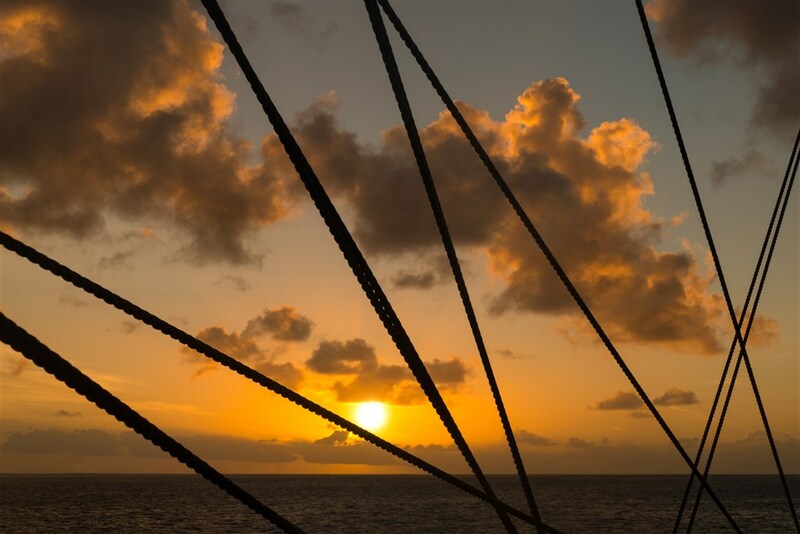 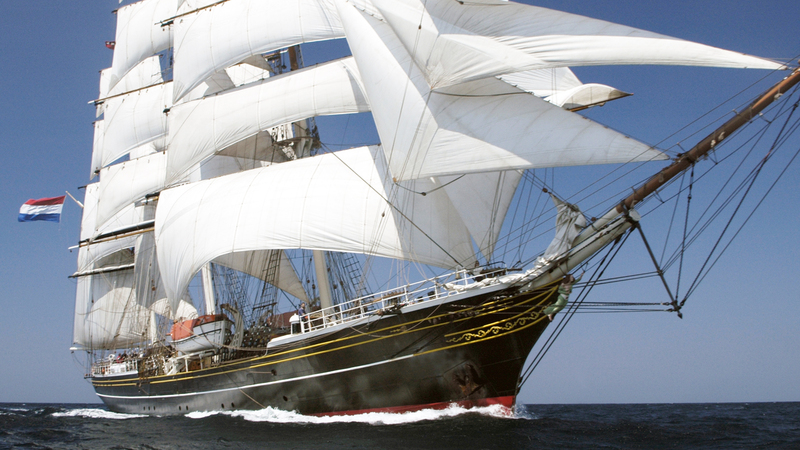 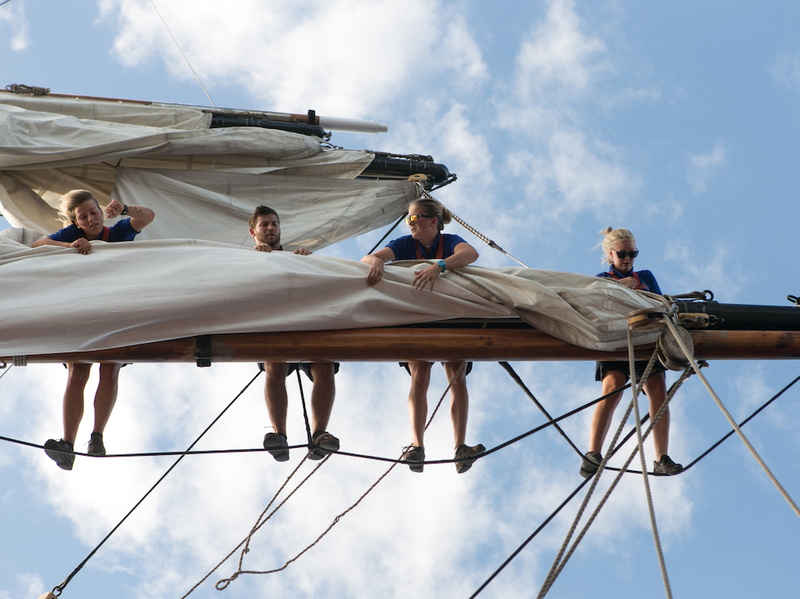 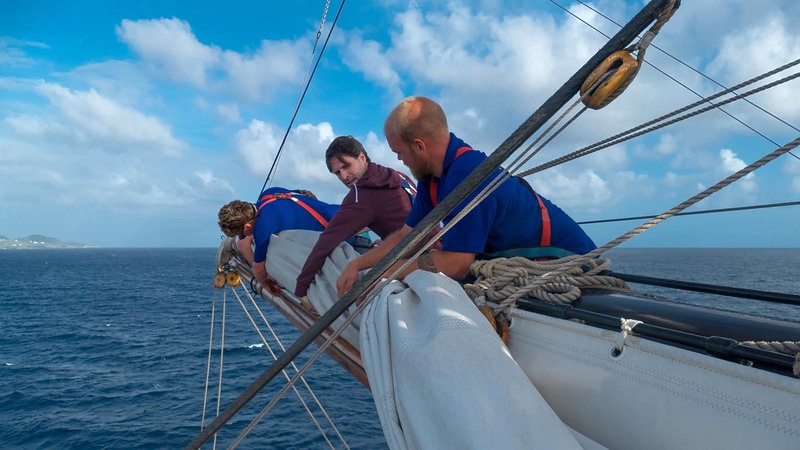 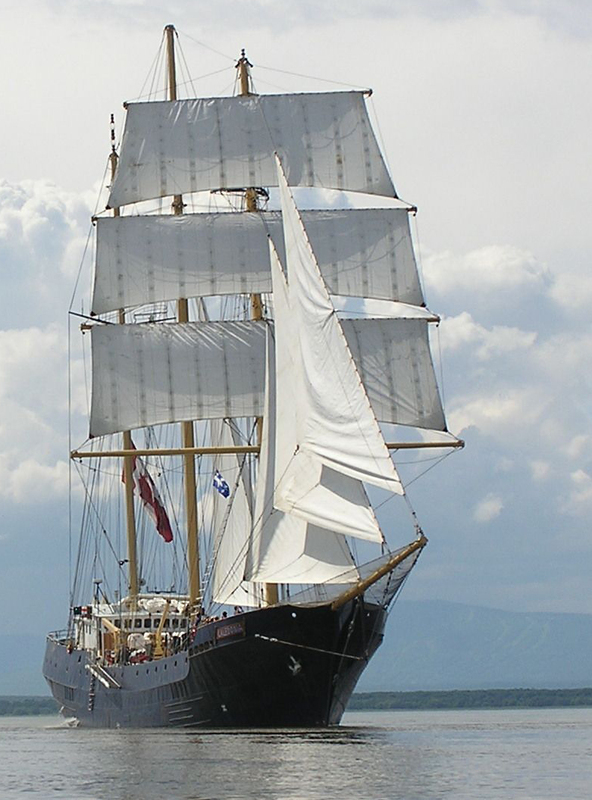 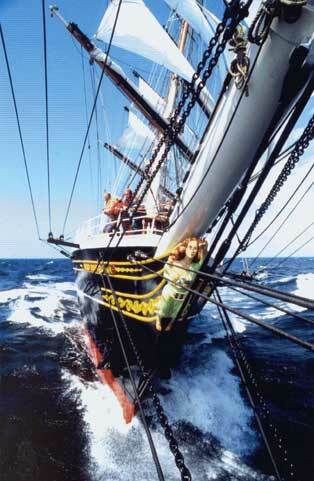 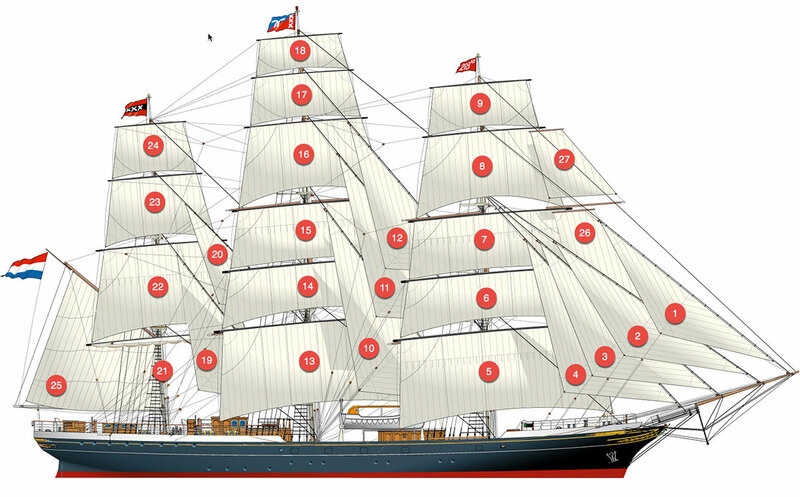 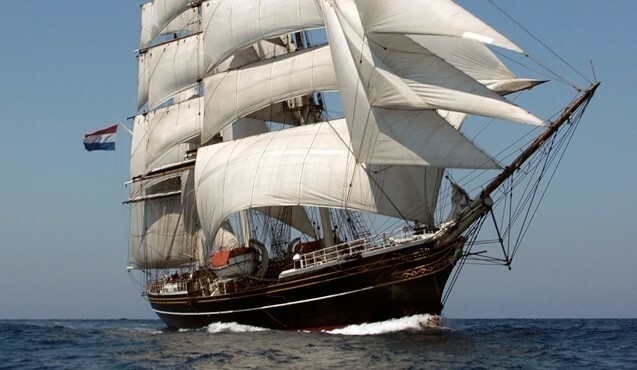 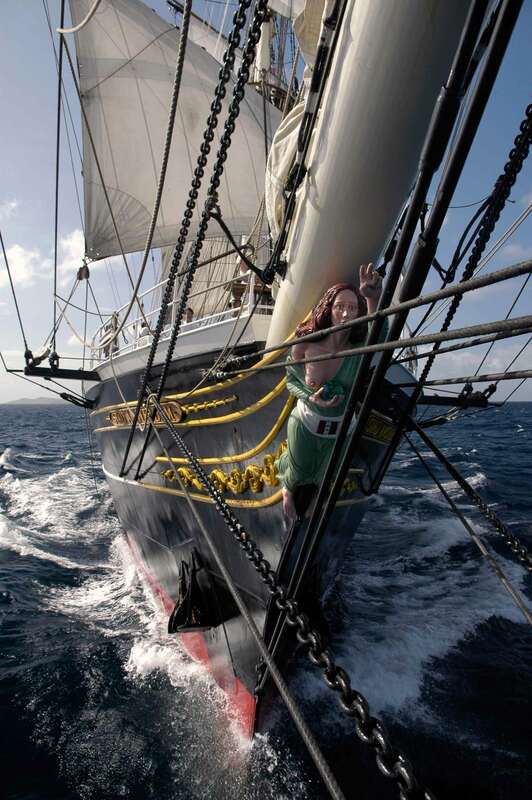 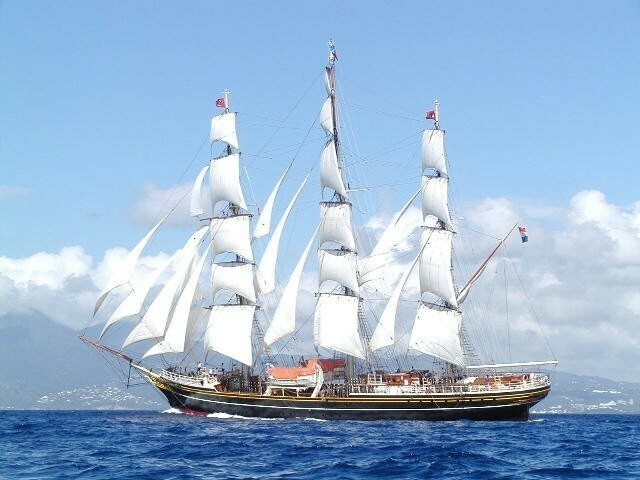 With 29 Sails this square rigger can reach 17 knots under sail. 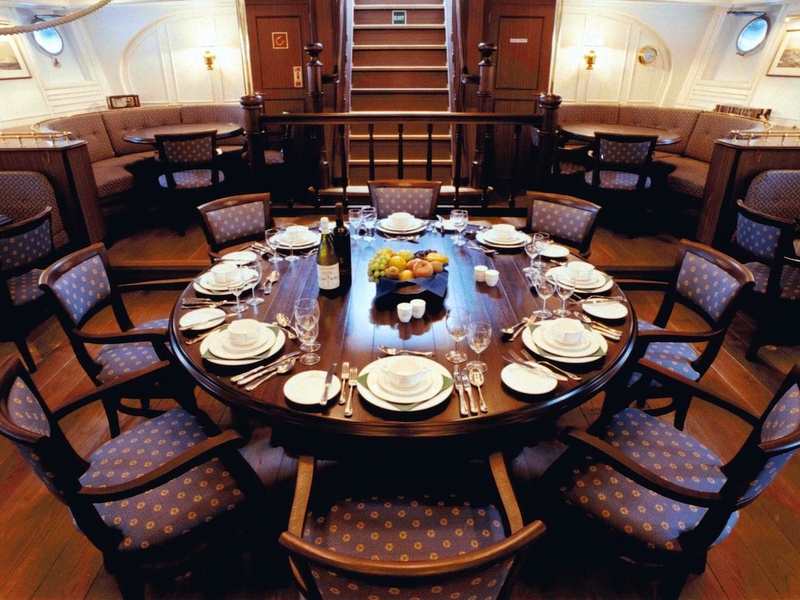 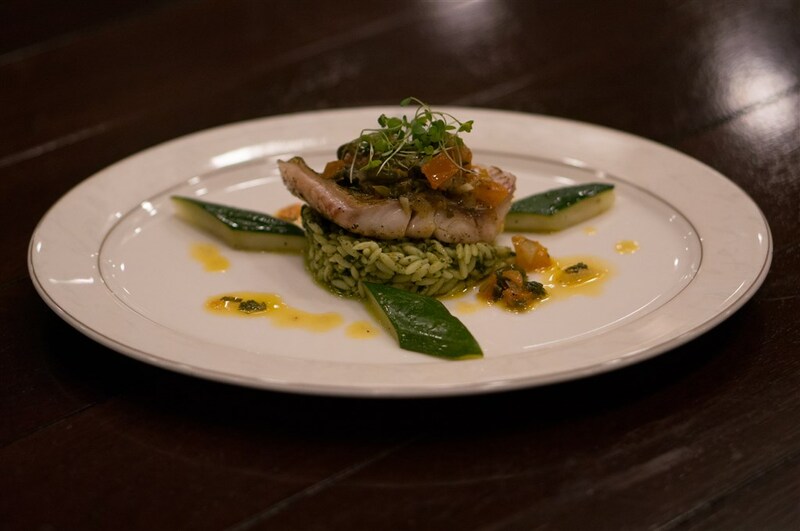 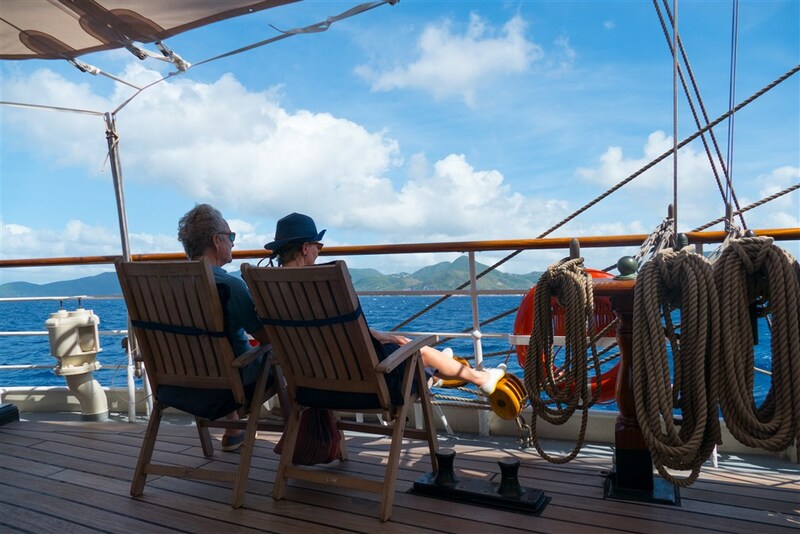 On board her conference facilities seat up to 40 guests and her crew of 25 includes 2 captains & 2 five star chefs. 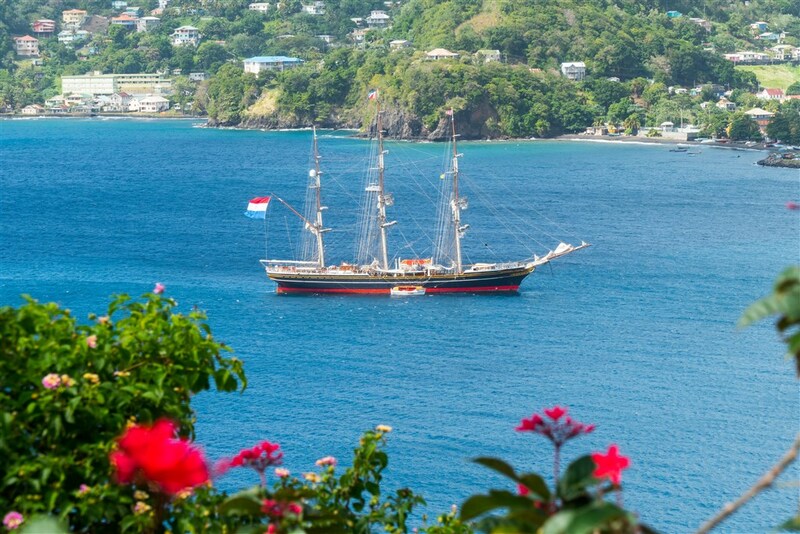 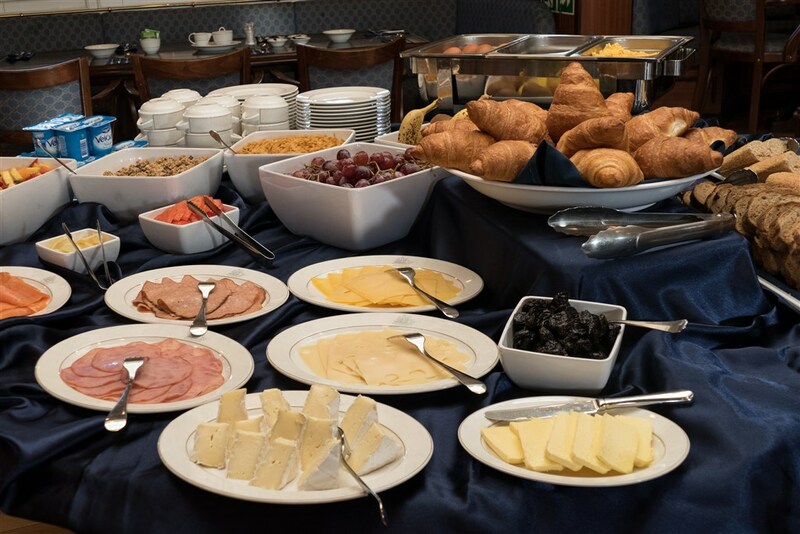 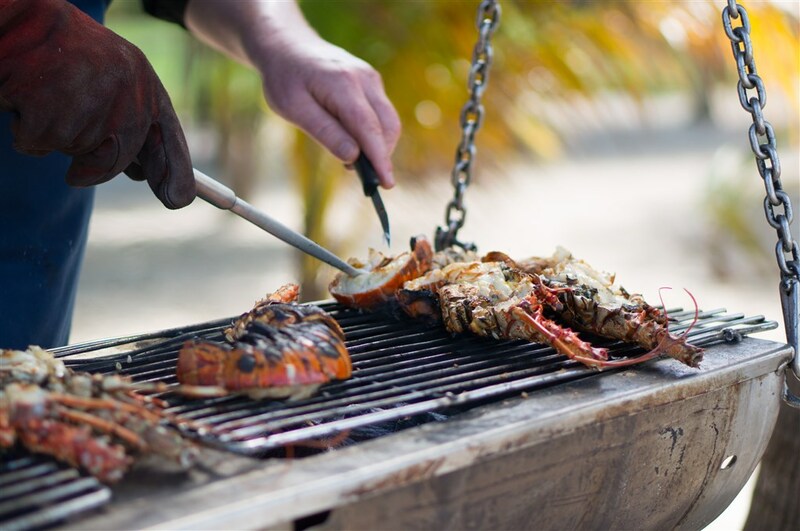 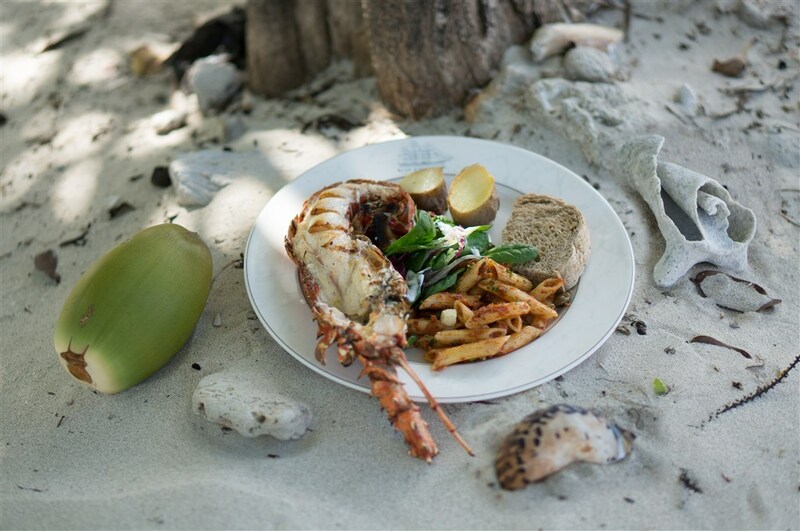 The ship has been comfortably appointed and offers every convenience and cabins have their own bathroom, air-conditioning, telephone and television. 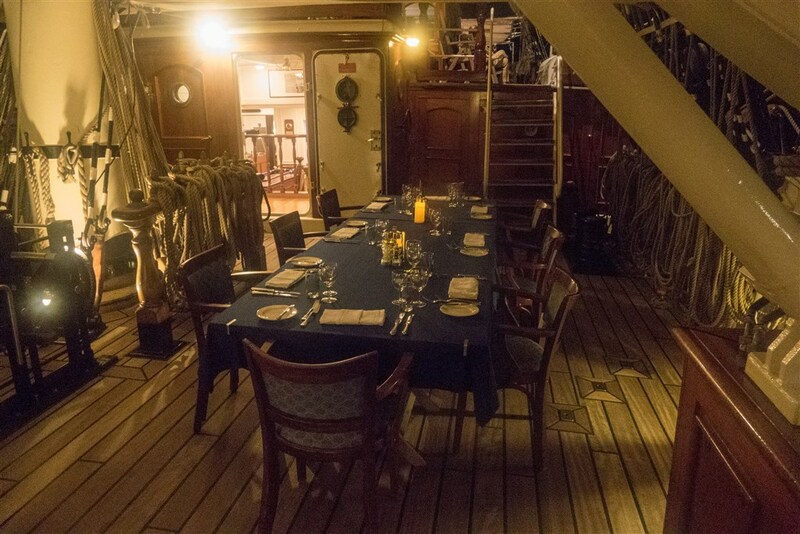 Below decks, the interior spaces are finished in a light cream tone, giving lots of reflected light and an open and airy atmosphere. 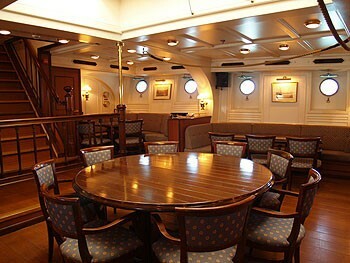 In the spacious and warmly appointed Long Room, a small ship's library can be found, reading tables and comfortable sitting nooks where movies are shown, the captain holds his lectures, and you can enjoy excellent meals in peace and quiet. 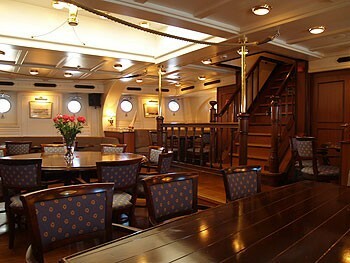 Enjoy a drink at one of the bars. 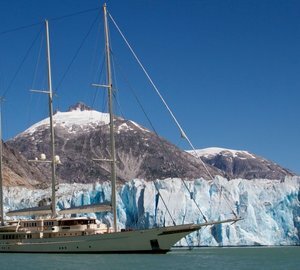 Television, air conditioning, and T.V are provided, the ship has been provided with all comfort. 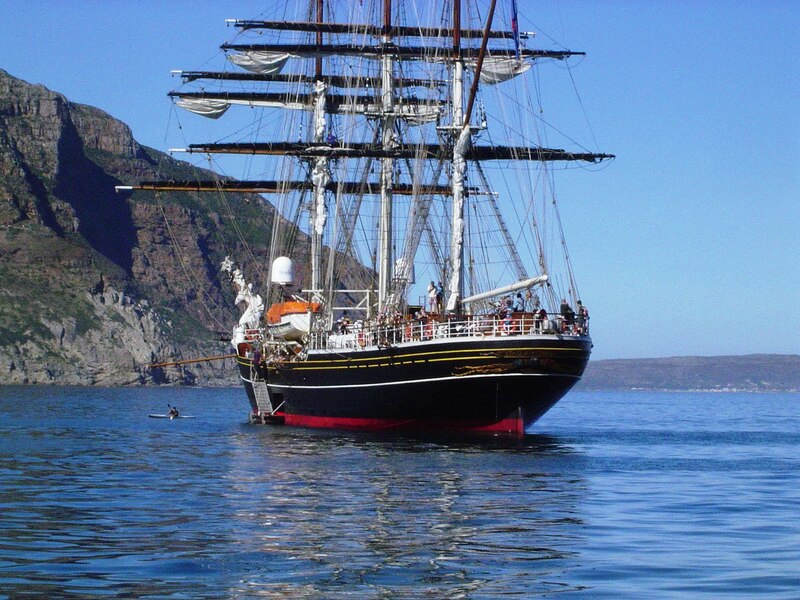 This Classic Clipper has 14 identical cabins each with two twin lower singles plus 2 pullman berths, en suite head & shower. 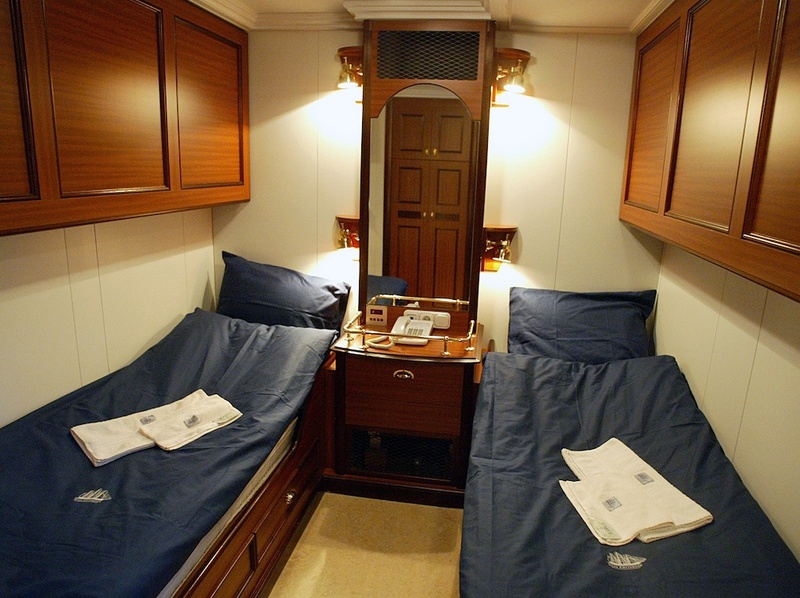 A/C, phone and TV in each cabin. 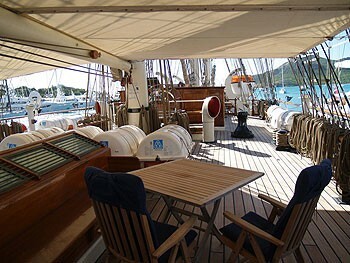 Bar on deck, bar in longroom. 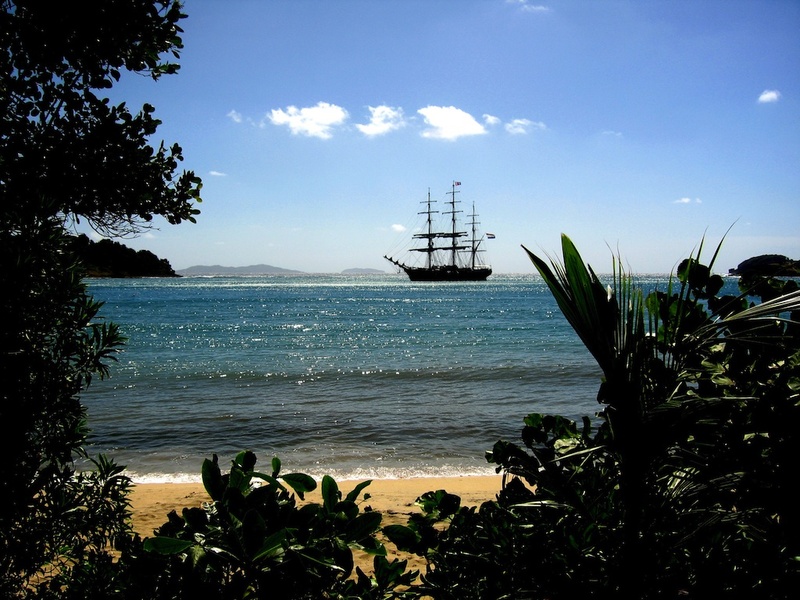 Library and sick bay. 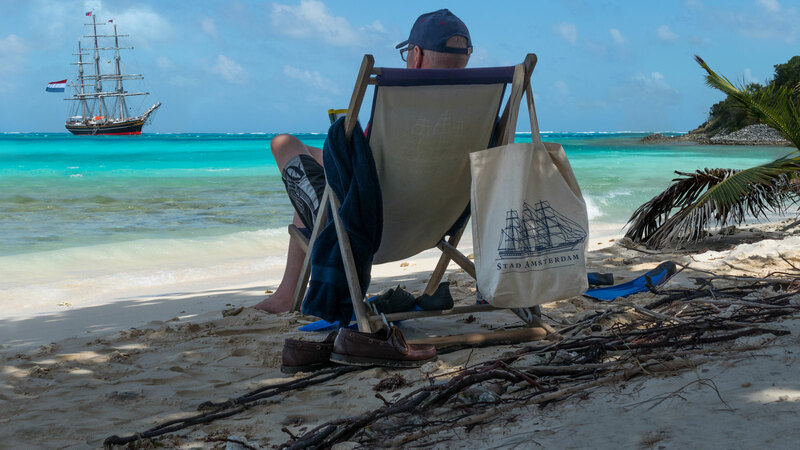 Tenders & Toys snorkeling equipment, beach toys, deck chairs and cushions. 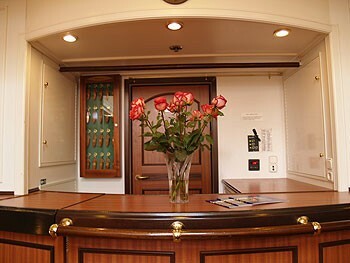 Audio Visual Equipment and Deck Facilities TV in each cabin. 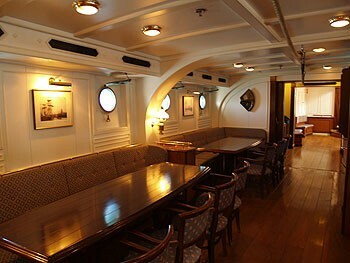 Movies shown in long room.